The green car movement is growing, but at a snail's pace. Critics have asserted that, for automotive makers and fuel providers alike, purchasing the resources needed for electric and hydrogen fuel cell vehicles simply isn't feasible. From a procurement officer's perspective, price is generally the first aspect they look at. Platinum, a precious metal used as an electrocatalyst in hydrogen fuel cells, is expensive, so most purchasing management professionals advise their superiors to refrain from producing cars and other machines that run on hydrogen. Take Part contributor Padma Nagappan acknowledged the Toyota Mirai, a hydrogen-powered vehicle that is priced at $57,500 before rebates and tax incentives. While this is largely a vehicle for the wealthy, Toyota will lose approximately $100,000 for every Mirai it sells. This loss is primarily due to the platinum required to make the car's fuel cell. In response to this challenge, researchers at the University of Delaware are trying to find a feasible alkaline polymer alternative composed of several non-precious metal catalysts, one of them being nickel. As nickel is a thousand times cheaper than platinum, its use in creating a new kind of fuel cell would boost the green automotive economy - that is, if the reaction occurred at a faster rate. Alkaline polymer-based fuel cells react 100 times more slowly than their platinum-based counterparts. Thankfully, because the project is still in experimentation, the researchers can figure out how the alkaline substance should be adjusted by measuring the rate of reaction. From these metrics, scientists can intelligently design new catalyst materials. According to Car and Driver, despite the fact that hydrogen gas is incredibly abundant, there are very few fueling stations available. Furthermore, hydrogen fuel isn't necessarily stored and transported across long distances like oil or natural gas. Many are arguing for on-site capturing and conversion, involving extraction directly from a station's water supply or natural gas. The equipment required to complete this process may cost anywhere between $500,000 and $5,000,000 per installation. Therefore, in many cases, investing in a hydrogen fuel station is an endeavor that only the super-rich may be interested in - those with a "Why not?" mentality. As for the price of the fuel itself, the source noted that current prices stand at $5 per kilogram. As a kilogram is nearly four times larger than a gallon, there's already a price advantage. Furthermore, Car and Driver maintained that one kilogram of hydrogen provides more range than a gallon of gasoline. Obviously, the green car industry has some feasibility issues. Further research may prove beneficial, but until new hydrogen reaction methods are discovered, constructing such machines isn't profitable. (A kilogram is nearly four times larger than a gallon.) This seem wrong. The EPA considers a gallon of gas equal to one kilogram of hydrogen.. 5 dollars per kilogram for hydrogen try 10 dollars per kilogram. Where can you get 10,000 psi hydrogen at that price? 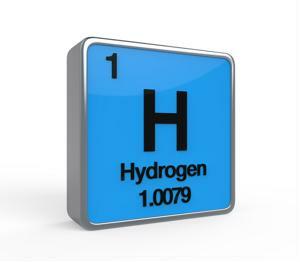 I believe one Kg of Hydrogen is equivalent to one gallon of gasoline. I seem to remember reading that one KG of Hydrogen costs $5 to produce, not the sale price at the pump. If the author is trying to factor in the round-trip mileage of a lighter weight hydrogen car to a standard gasoline car, there may be some gain of efficiency, but a factor of four seems a stretch. Author needs to cite source. Pricing on green/brown home hydrogen production would be interesting to know. The hydrogen house project has popped up on the net, but no pricing is there that I can find: http://hydrogenhouseproject.org. The prospect of creating your own fuel at home at a reasonable price is the real selling point for both EV and FCV. Those numbers are needed before consumers invest.